Expansive cape-cod with over 3184 sq ft of living space in one of the only guard gated communities in Malibu. 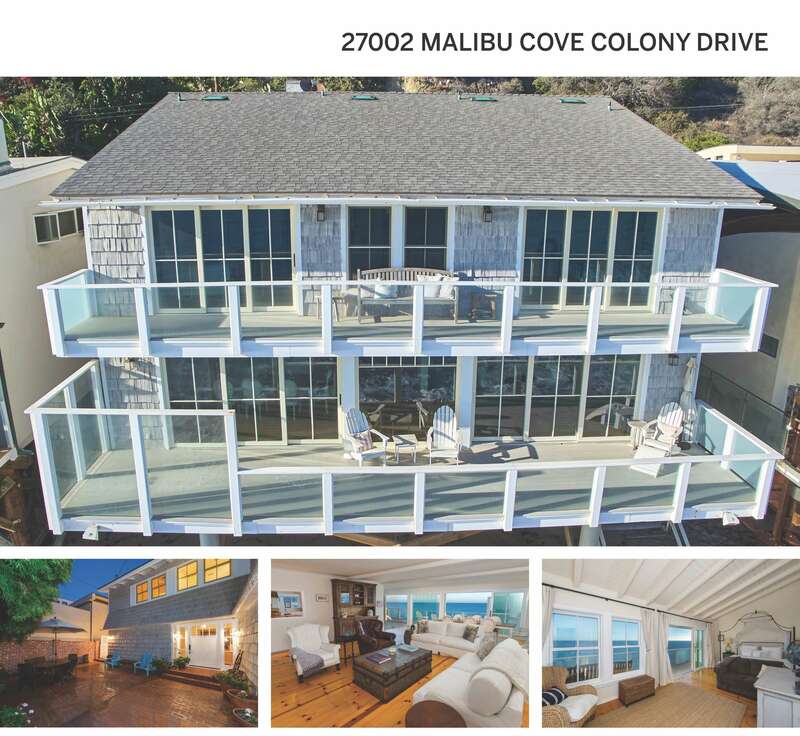 Sited in the Malibu Cove Colony, this house features 50 feet of beach frontage and extreme privacy. As you enter through the brick courtyard, perfect for outdoor dining, you are greeted by a light and airy floorplan and floor to ceiling glass custom beach sliders that lead to the over-sized oceanfront deck. Spectacular ocean views, custom white wood cabinetry and wide plank knotted- wood floors are throughout this home and the sound of the waves can be heard from every room. With a private staircase down to the beach, this is the quintessential Malibu dream house. Don’t miss this rare opportunity to own on the sand in Malibu.